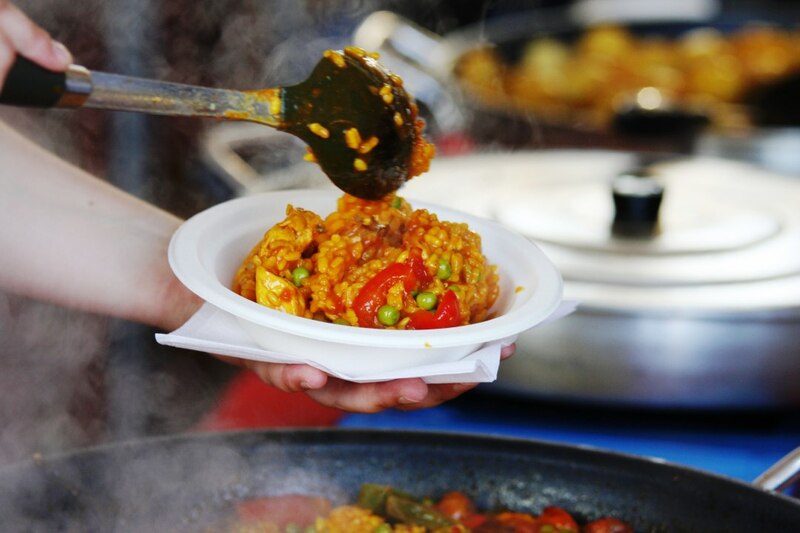 We provide freshly cooked, great tasting food for events from small gatherings to large events & celebrations. We specialise in Spanish, Mediterranean, Latin & British streetfood but can also provide fine dining for an intimate dinner party & canapes. 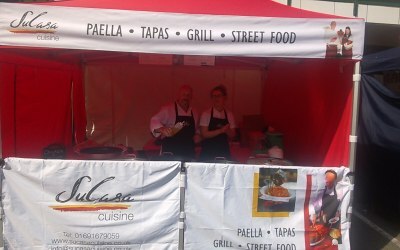 We are caterers who specialise in freshly cooked, great tasting Spanish, Mediterranean, Latin & British Street food to give a unique flavour to your dinner party, celebration, wedding or large scale event. 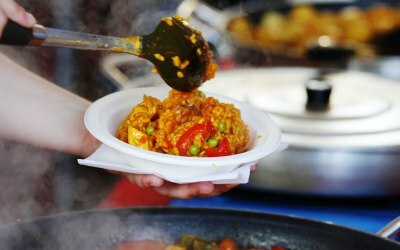 Our catering not only provides a great tasting feast for your guests but also an interactive dining experience as your guests enjoy the sights and smells as we freshly cook your selected dishes adding a great talking point and visual treat to your event. 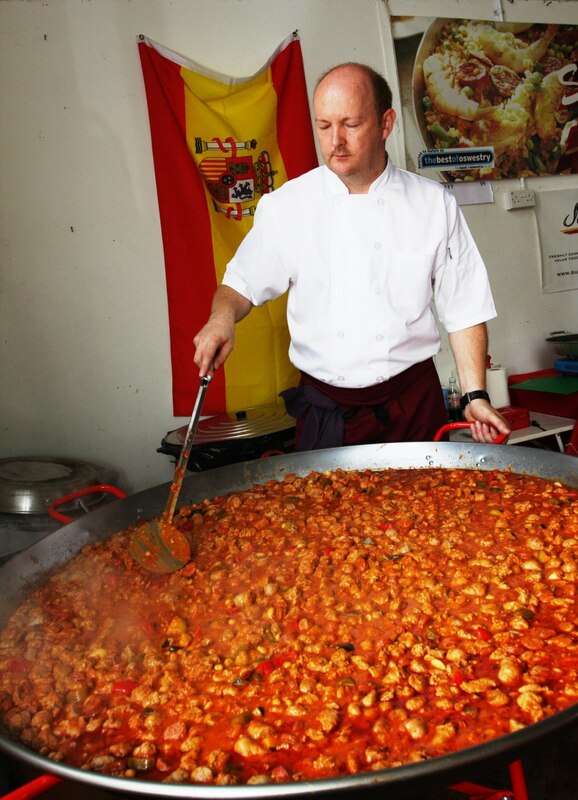 Our menus to be enjoyed include a great paella menu, a Spanish feast with tapas dishes followed by your choice of paella or alternative main dish, tapas canapés followed by paella, an Italian, French or British Feast menu, a grill menu which is a superb alternative to a traditional BBQ, and our big event menu which allows you to combine big pan dishes from different cuisines to create your perfect menu. 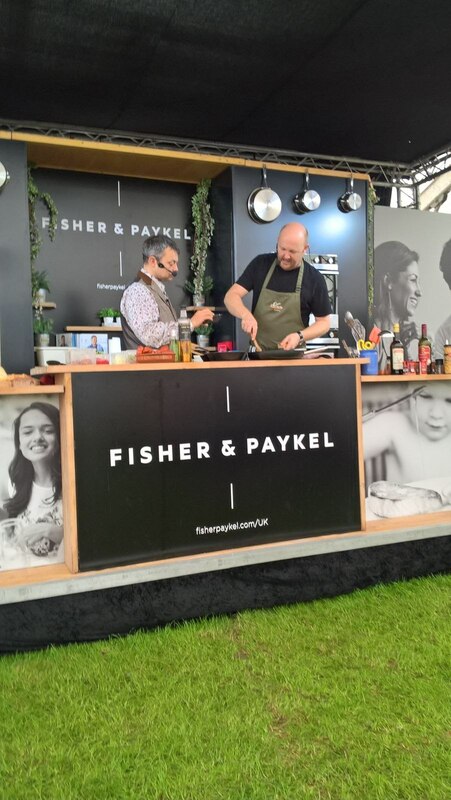 We can operate totally independently of electric or water supplies and can provide our own cook tent/s to fit in with your event and maximise the space for you and your guests. 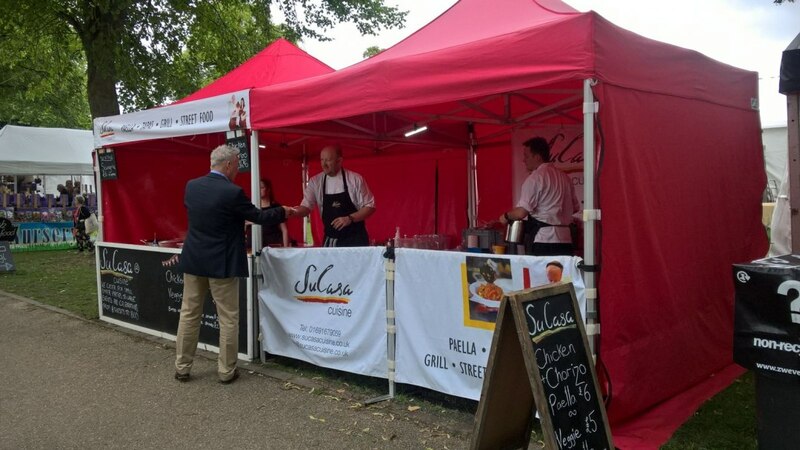 Over 8 years we have provided catering for weddings, celebrations, large scale events, small gatherings, dinner parties and at hundreds of events across the country. 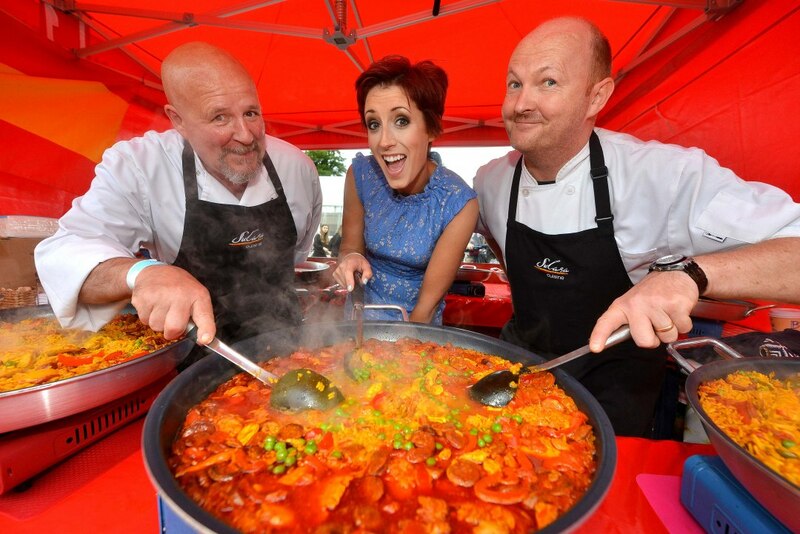 We regularly cater at the Ludlow, Shrewsbury, Telford, Wrexham, Mold, Llangollen & Mold food festivals as well as the international music Eisteddfod at Llangollen, Shrewsbury Flower show, air shows, agricultural, equestrian & canine shows and also regularly provide on location catering for BBC productions such as Bargain Hunt & Marrying Mum & Dad. 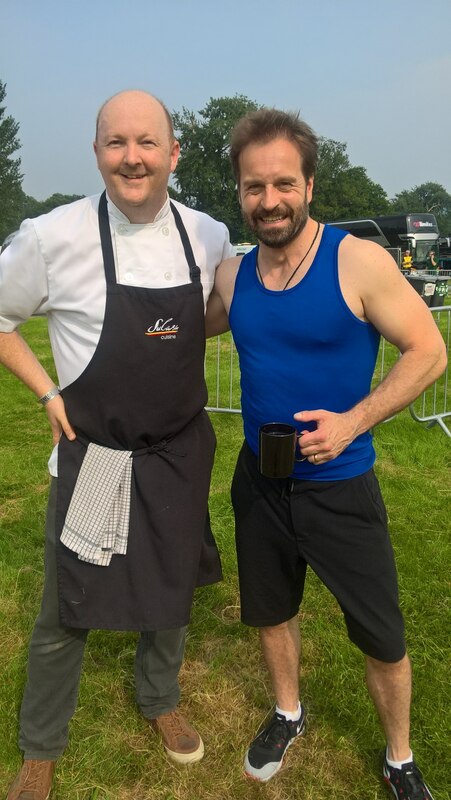 We also cater music events and tours, last year catering for the joint tours of Alfie Boe & Michael Ball, and Cliff Richard at stately homes across the country. Brilliant food and service!! Highly recommend! We found Tim via add to event and we are so glad we did! 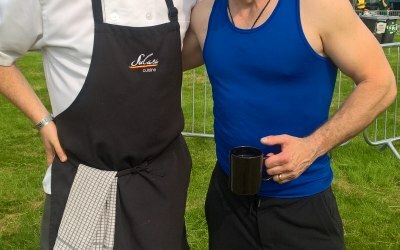 Whilst on the process for choosing who we wanted to cater for our outdoor wedding, he asked if we would like to go and see him in action at a food festival in Shropshire... where we decided straight away we want him there! Everyone commented about how nice the food was and how nice the service was! Highly recommended. Will use again for sure. Excellent value for money. 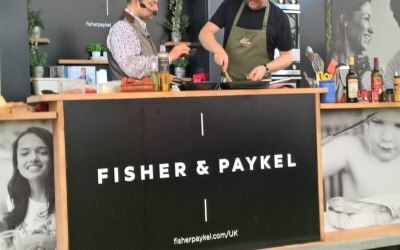 Had a big party for 120, opted for the paella menu served via their own pop up kitchen outside, which meant more room for guests in the venue. 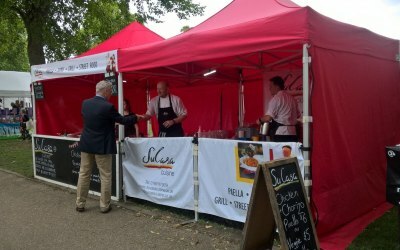 It was delicious and serving up went without a hitch, with no big queue for guests. Tim was so easy going with the booking. Didn't have to worry about signing contracts etc, it was all very casual. I paid a bit each month before the big night. Tim always sent an email to confirm money had been received. My last minute panic about confirming final numbers was unnecessary. Tim was very reassuring, made sure there was plenty for everyone and even parcelled up the leftovers in takeaway trays for us. 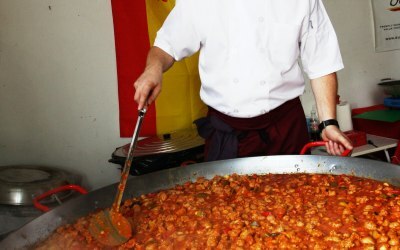 Highly recommend the chicken and chorizo paella. Absolutely excellent service. Tim and Kieran were fun, efficient, polite and incredibly well organised. 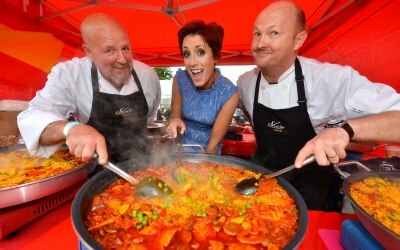 All our 85 guests loved the paella and we loved being free from catering! No mess, no fuss when packing up, just a slick and personal operation. 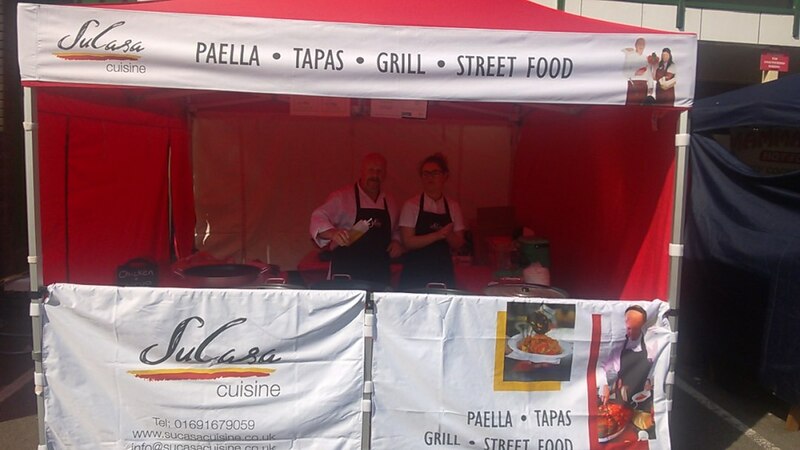 I would recommend Su Casa to anyone as fantastic value and a great addition to an event. Very flexible - veggie and meat options (we had both) and suitable for gluten, dairy or egg allergies. Provide gf bread too. Thanks so much guys for adding to our 50th party. Leftovers boxed up by Tim for freezer an extra bonus !! Friendly, polite, professional, and efficient. Could not fault the wonderful service of Tim and Kieron at our party. Flexible about requests and the food was delicious. Our guests commented on the quality of the food. Highly recommend Su Casa. Get quotes from Su Casa Cuisine and others within hours.